I recently bought a 5 inch Christmas tree cutter and I decided to play with it a little. This first set is just simple cookies. 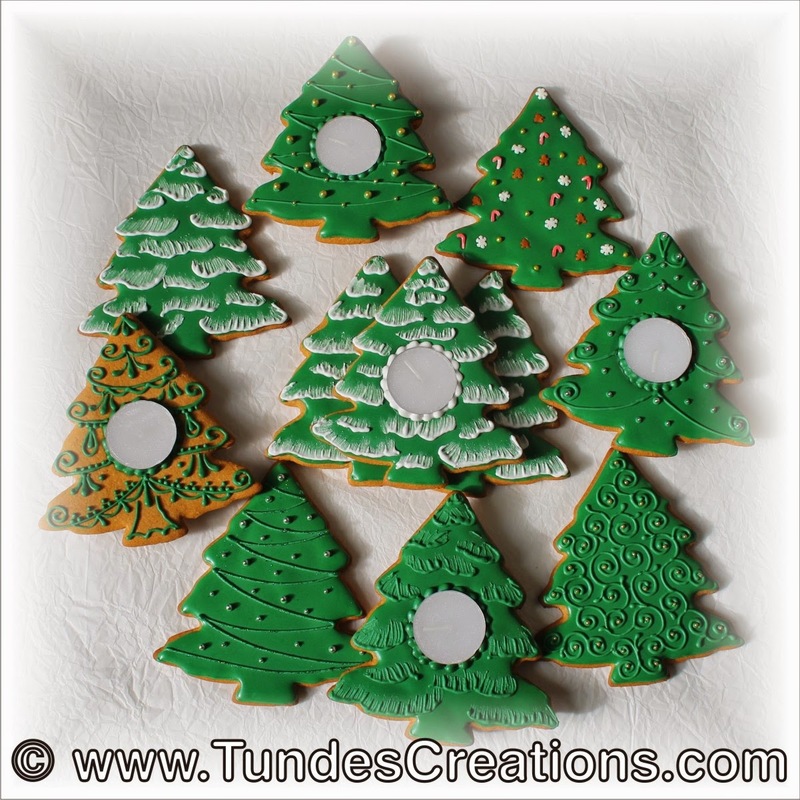 I started with green flood icing on all of them, just the decoration is different. 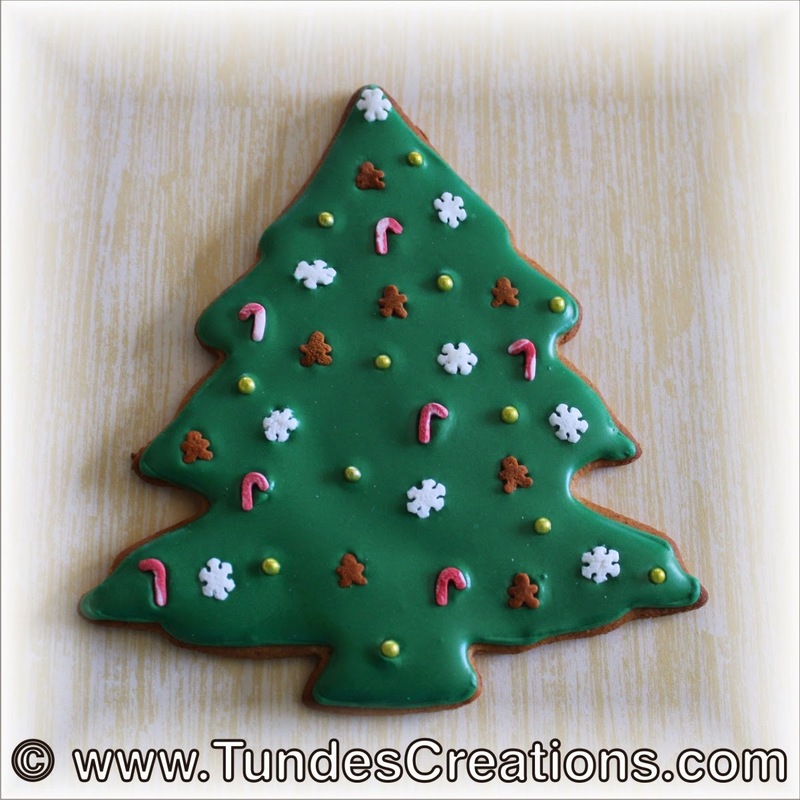 This is the ideal project of we work with kids: just a few Christmas sprinkles decorate this tree. 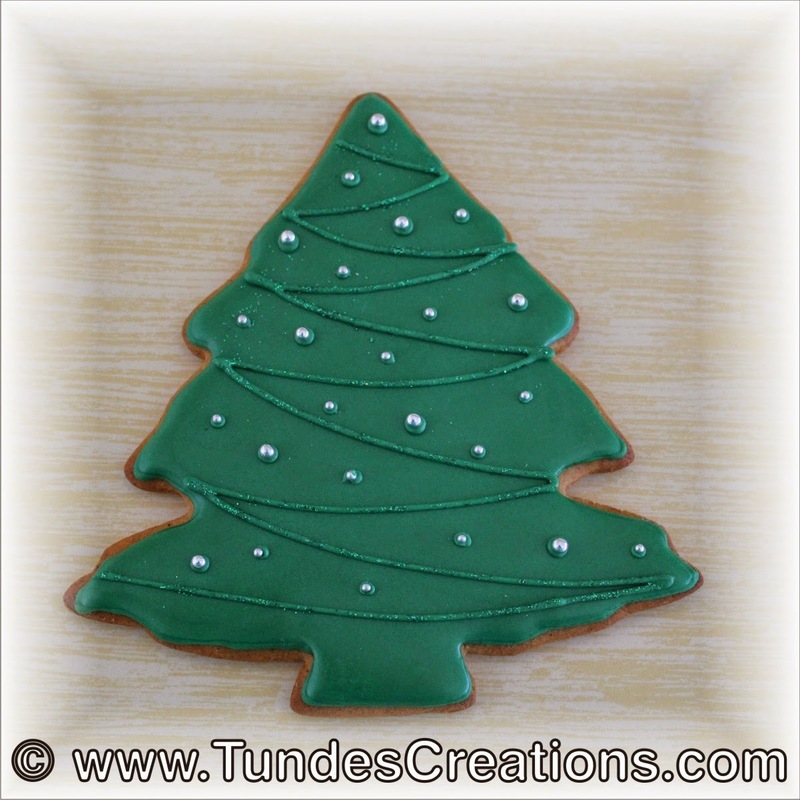 This tree is decorated with white icing, using brush embroidery. 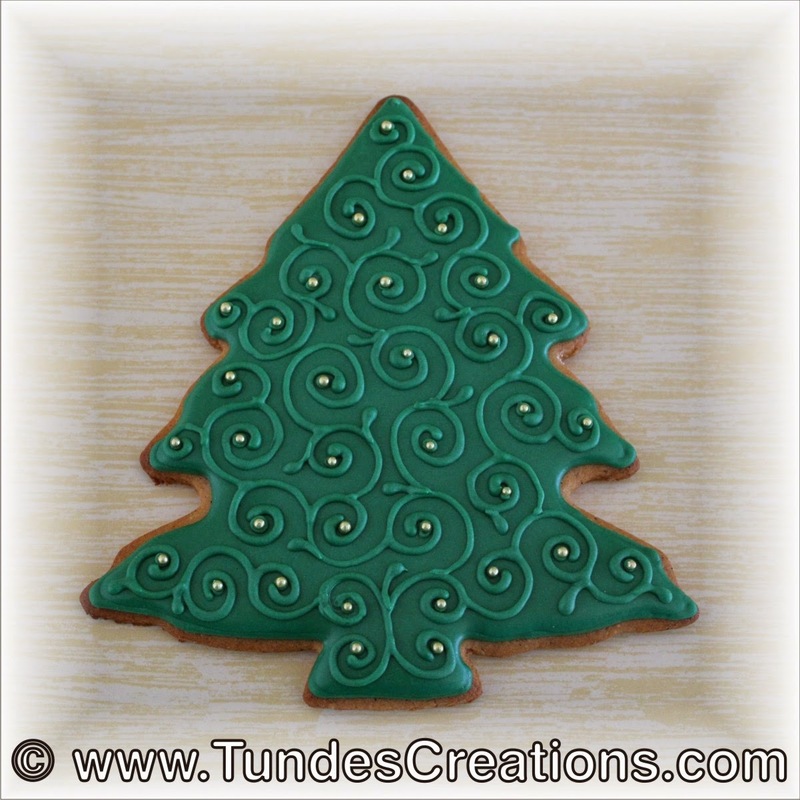 We will make this cookie Monday during class at Gallery 916. This tree has some curly curves and a few golden pearls make it more festive. 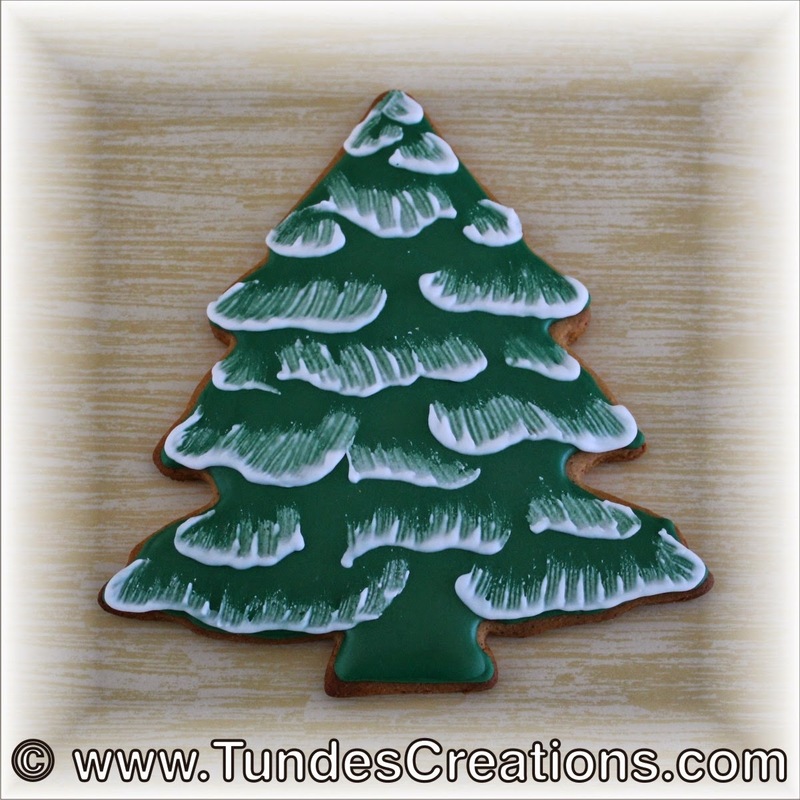 The lines on this tree are painted with green twinkle dust and I added some silver pearls in two different sizes. This looks gorgeous in person, I would definitely need to work on my photo skills to be able to show all the lights and sparkles. 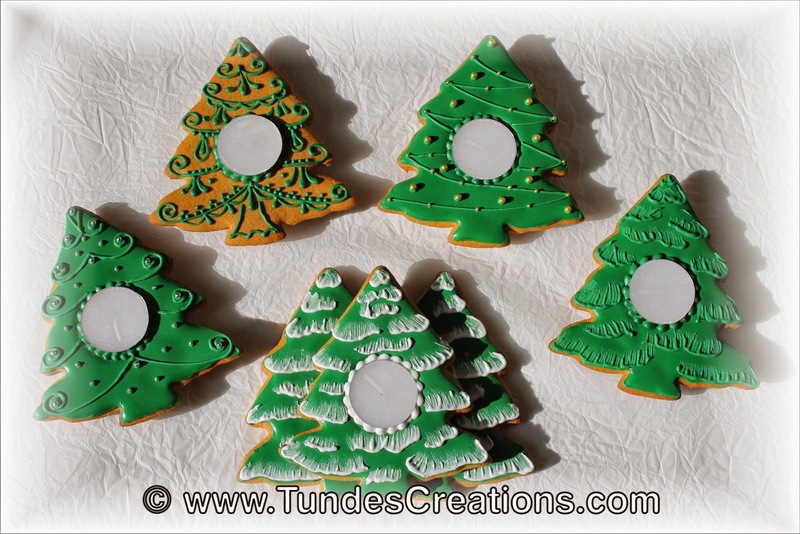 The next set is a few Christmas tree candle holders. I cut a hole in the middle of the cookie after baking, when it was still warm. 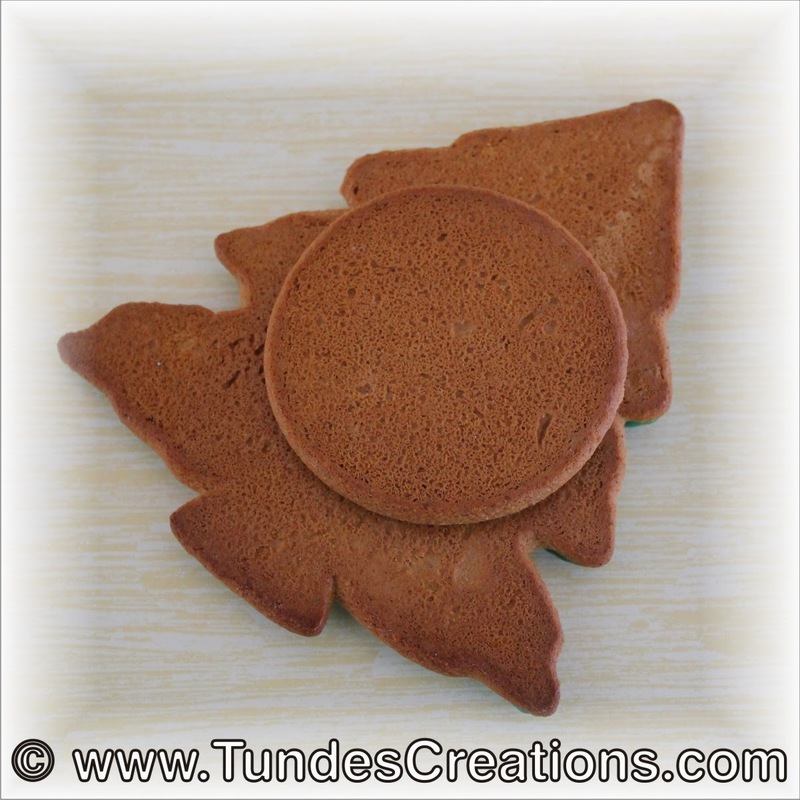 I also baked some circle cookies to put under the candle. This is the back side. 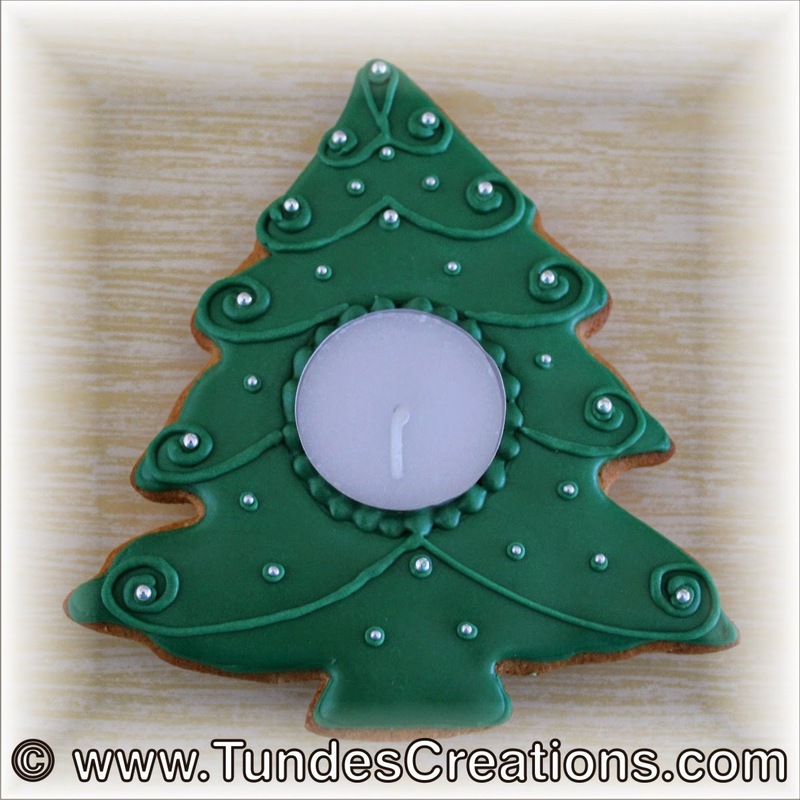 The candle sits on the circle cookie. 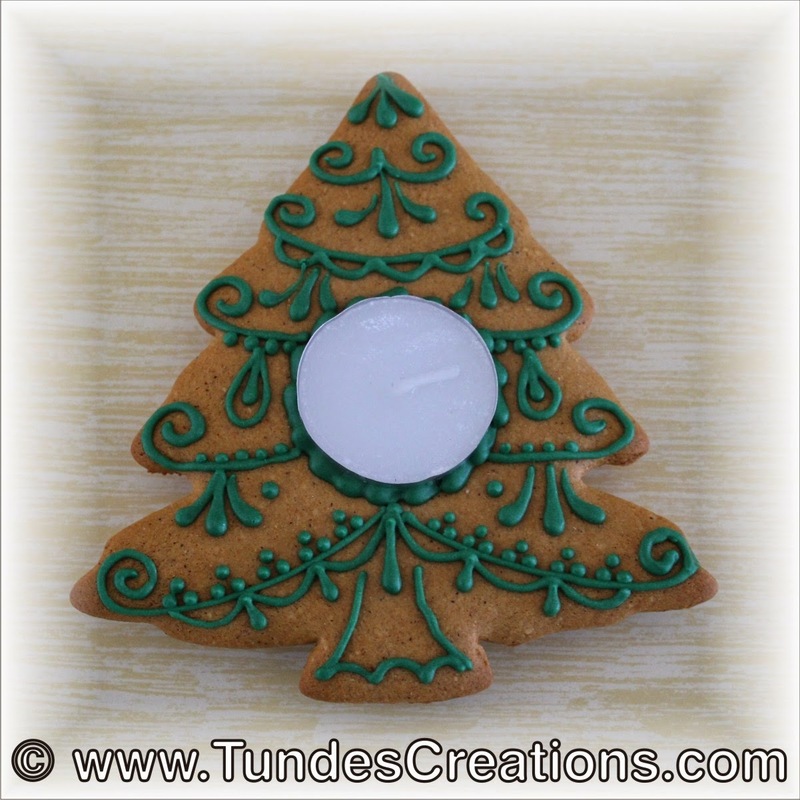 The two pieces are grued together with the icing. 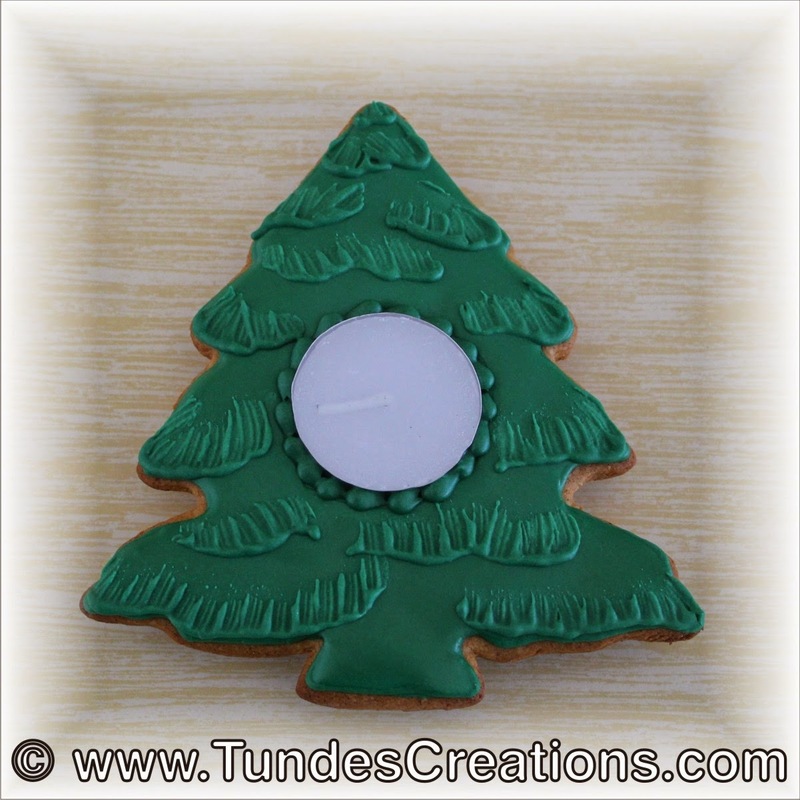 This candle holder has a little brush embroidery with the same color as the flood icing and a bead border around the candle. ... and the gold version. And yes! I run out of the flood icing before icing the last cookie. 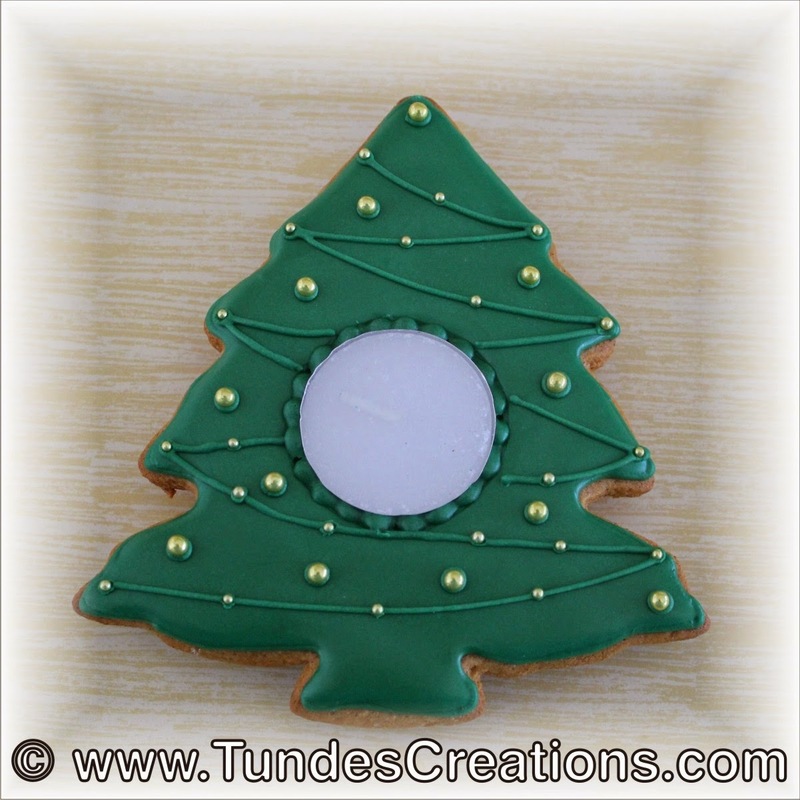 But I did not mind too much: decorated the bare cookie with green icing and I like the result. 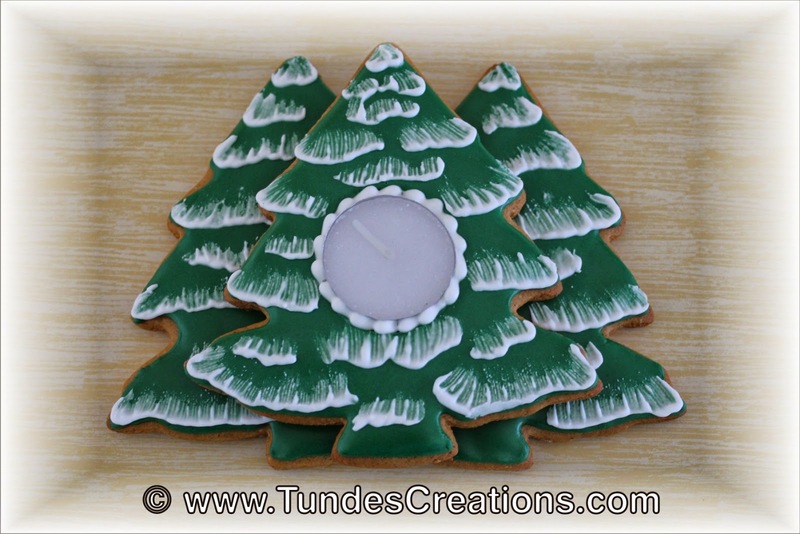 Here, instead of the circle base, I baked together two trees to make a nice base for my candle and placed the third tree in the middle. 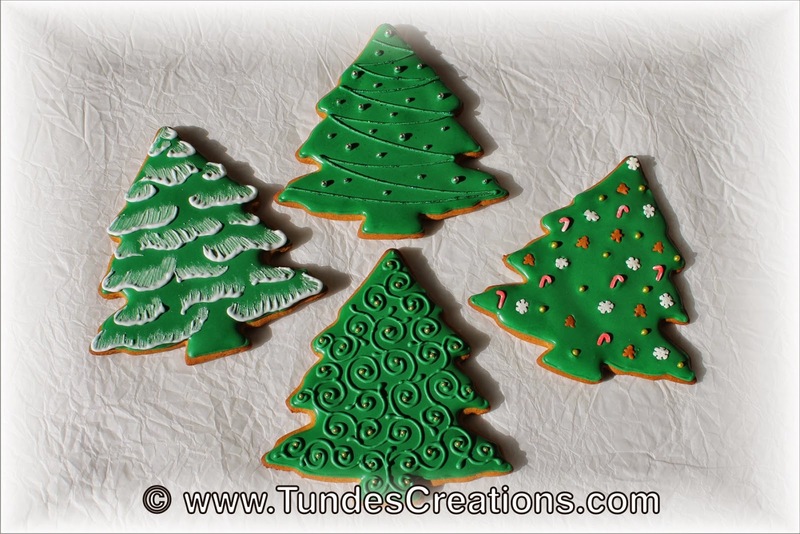 Will you decorate some Christmas tree cookies this year?